The University of North Dakota Energy & Environmental Research Center (EERC) has been selected for two awards by the U.S. Department of Energy (DOE) National Energy Technology Laboratory (NETL) to create new CO2storage technologies at commercial scale. The first, a $3.2 million award, in partnership with Regina, Saskatchewan-based Petroleum Technology Research Centre (PTRC), involves the development of “intelligent monitoring system” (IMS) modules for integrating monitoring and simulation data at CO2storage sites, allowing site operators to more efficiently manage operations in near real-time. Other key partners in the project include Computer Modelling Group, Schlumberger, and the CETER Group. The project will be conducted utilizing data acquired through PTRC’s Aquistore Project, a storage component of SaskPower’s Boundary Dam Carbon Capture and Storage Integrated Demonstration Project, one of only a few active CO2 storage projects in the world. The EERC will work to develop the IMS through real-time data-capable workflows, algorithms, and a user interface to automatically combine multiple forms of data into a more cost-effective measurement, monitoring, and verification system, optimizing the CO2 storage process. 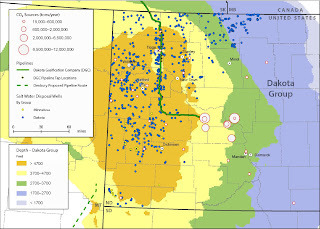 “The Aquistore site, coupled with PTRC’s partnership, provides an ideal proving ground for the development of IMS technologies, which can greatly enhance operations for the emerging carbon capture and storage industry,” said John Hamling, Project Manager and Principal Engineer for Oilfield Operations at the EERC. The EERC was also selected by DOE NETL to receive funding for developing and validating pressure management and plume control strategies through a brine extraction storage test (BEST). The EERC is one of only five organizations selected. The funding is through a DOE “Fit for Purpose” project, referring to research focused on developing specific subsurface engineering approaches that address research needs critical for advancing carbon capture and storage to commercial scale. In this project, the EERC will develop a site design and implementation plan for an active reservoir management field test which focuses on brine extraction as a means of managing pressure to increase potential CO2storage efficiency and capacity within a reservoir. The plan will also include a test bed for brine treatment technologies that are capable of treating the extracted brine for beneficial use. 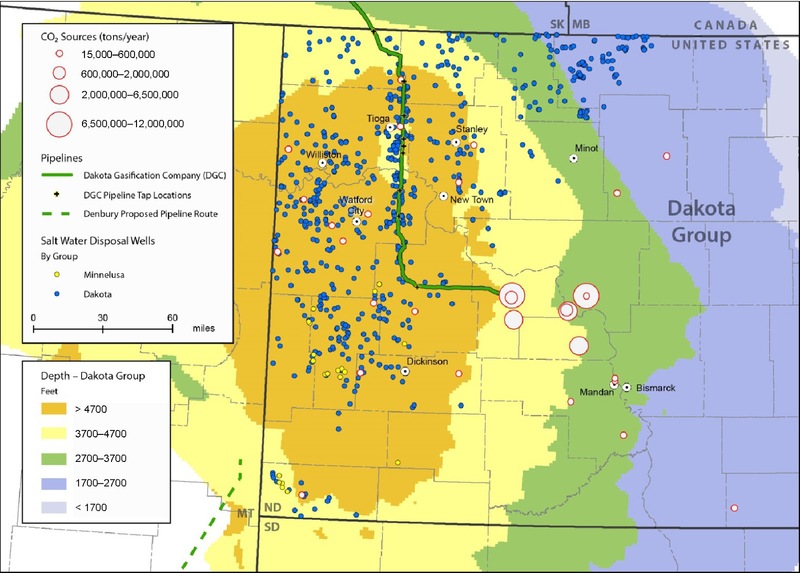 Surface facilities will be designed for a site in the North Dakota portion of the Williston Basin and will be flexible and modular, in order to accommodate most pilot-ready water treatment technologies. Along with site selection activities, viable water treatment technologies will be screened for their potential future deployment. The project is being conducted in partnership with GE Global Research, Computer Modelling Group, and Schlumberger Carbon Services. “Our project will contribute to the creation of test beds for technologies to treat brine that is extracted from the storage formation. It is a first step in understanding how to utilize the subsurface safely while potentially providing a valuable water resource,” Hamling said. Both projects are funded through the DOE Carbon Storage Program, which advances the development and validation of technologies that enable safe, cost-effective, and permanent geologic storage of CO2. 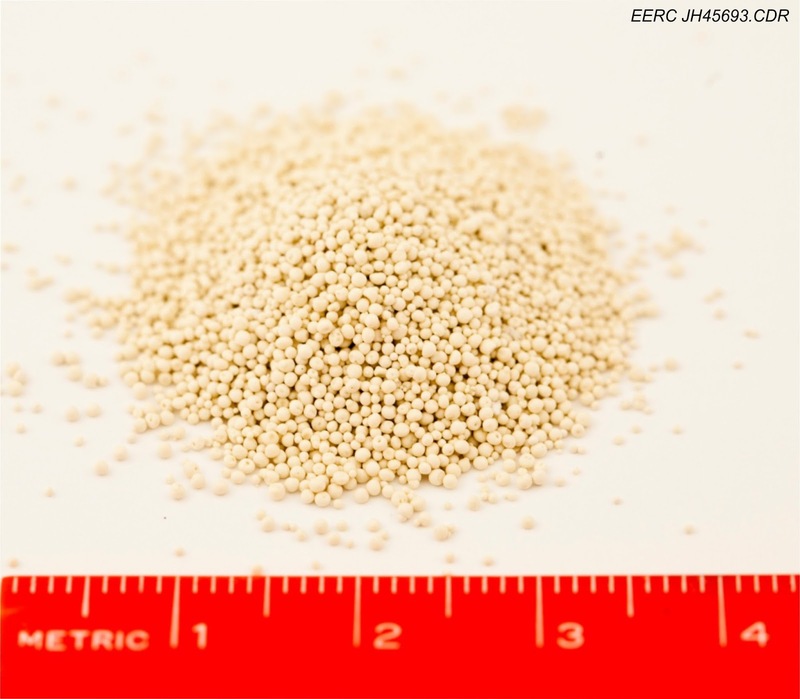 Small ceramic beads called proppants are often used during hydraulic fracturing operations to “prop open” the fractures in a tight hydrocarbon-bearing formation in order to allow natural gas and oil to flow out of the formation. 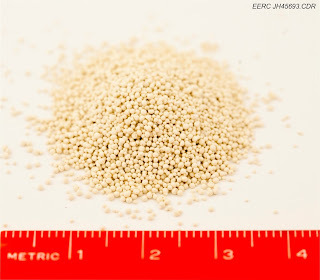 Most common ceramic proppants are made from high-alumina-content minerals such as bauxite or high-purity kaolin clay that has been sintered to a high density. However, high-quality deposits of these minerals can be very far from oil and gas production fields, leading to high shipping costs to get the proppants to the well site. The Energy & Environmental Research Center, in collaboration with the U.S. Department of Energy, has investigated the use of lower-alumina-content clays that are commonly available near the Bakken oil fields in North Dakota for making ceramic proppants. To further investigate whether or not these clays can, in fact, be used to make low-density proppant particles with the same strength as other ceramic proppants, Senior Research Advisor Dr. John Hurley responded to a joint funding opportunity from General Electric (GE) Oil and Gas and Statoil, which have launched a new collaboration to accelerate the development of environmentally and economically sustainable energy solutions. The joint, technology-focused program is aimed at driving an industrial response to some of the biggest challenges facing global oil and gas development. This first “Open Innovation Challenge” is specifically aimed at improving the efficiency of proppants used in unconventional operations in order to reduce the impact of trucking on communities. Reducing trucking during this stage of shale development can largely be addressed by improving the efficiency of current proppants or through the development of new proppants. Hurley’s proposal was one of five selected from around the world to tackle this challenge. Hurley continued, “What inspired me to propose the work is that up to 5 million pounds of proppants are used in the completion of a single horizontally drilled well in North Dakota. The transportation costs to transport ceramic proppants to North Dakota are very high. These costs could be saved if the proppants are made locally with lower-alumina-content clays. In addition, the ceramic proppants that I will be trying to make are lighter in weight than sand, which is also used as a proppant, so there would be less damage to road beds when they are transported by truck,” he said. The judges’ panel, consisting of technical experts and management from both GE and Statoil, evaluated more than 100 applications from over 30 countries across a number of industries. Each winner will be awarded an initial cash prize of $25,000 and will be eligible to receive additional funding from an available discretionary prize pool of $375,000 for potential development or commercialization efforts. For more information on the Challenge and the winners, visit www.poweringcollaboration.com.